The Newcastle Society of Artists was first formed in 1835 as an association of professional artists. Several major North-East painters were among its members, including J. W. Carmichael, Thomas Miles Richardson (both senior and junior) and Luke Clennel. The original society lapsed and was reformed from time to time, but it has had a continuous existence since 1920. In l927 membership stood at 60, and included E.M.O�R Dickey who is represented in the permanent collection of the Laing Art Gallery. More recently Laurence Gowing and Roger de Grey (subsequently President of the Royal Academy) took part in its exhibitions, which were held in the Laing Art Gallery. Until the early l970s the Society had a studio in Leazes Park Road, but when that was given up it lacked a permanent home until l977 when a top floor studio was offered in Bolbec Hall (part of the Newcastle Literary and Philosophical Society). The Newcastle Society of Artists declined the offer, but some members broke away and formed the North of England Art Club. This new club was led by Mick Mortimer and the late Ross Hickling, both distinguished artists. 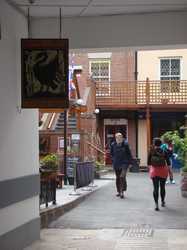 The club thrived with help from local businesses, and in l981 achieved the status of a registered charity with the aim of promoting appreciation of the visual arts. The remaining members of the Newcastle Society of Artists were amalgamated into the North of England Art Club on 12 January l982. The full title, including both names, was adopted. The Club continued to attract notable local painters including the late Kirill Sokolov; Malcolm Yorke, painter and author of biographies of painters; the late Anthony Procter; Joyce Grey; the illustrator Brian Robson; Richard Flynn; Walter Holmes and the �larn yerself Geordie� artist Scott Dobson - to name but a few. 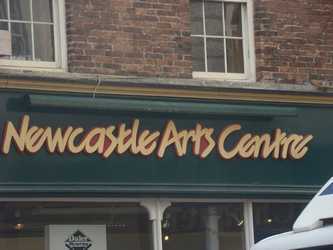 The Club has prospered and still has around 60 members and is now located in studios at Newcastle Arts Centre. It has a full programme of artistic activities, workshops, discussions and exhibitions. The Club welcomes new members. Steve Telford, Ian Davison, Daisy Haggerty, Nick Broome and Ian Hancock.